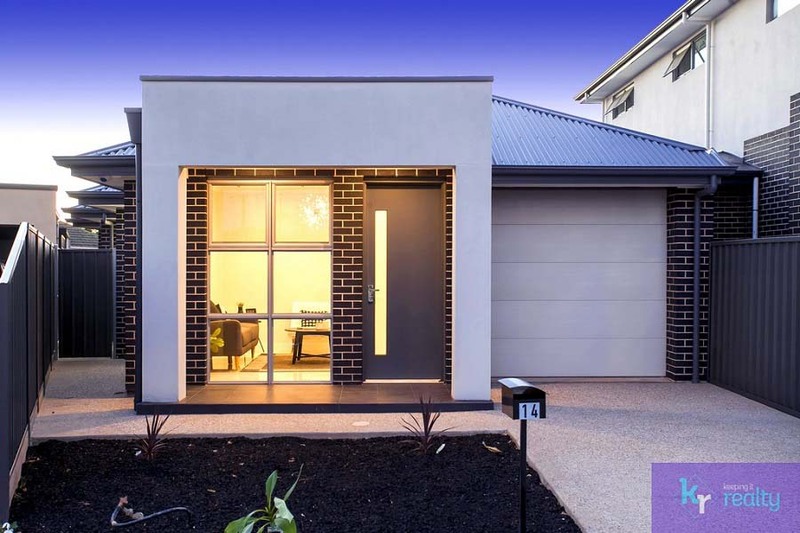 Michael and Christine Holowiecki of Keeping It Realty are proud to present this modern, bright and stylish home; a newly constructed property just waiting for you to place your unique style stamp. 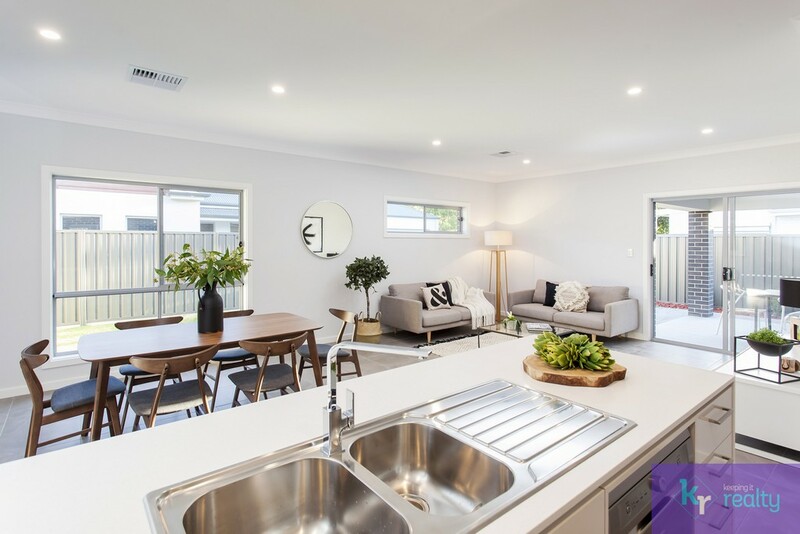 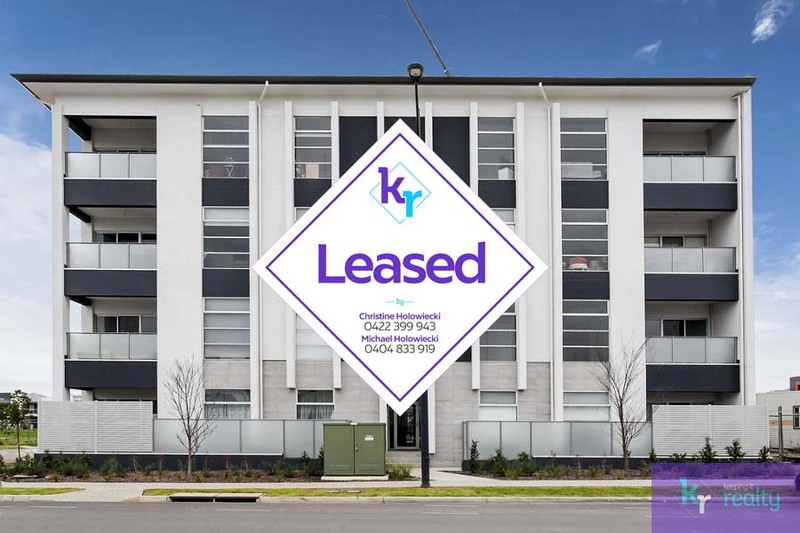 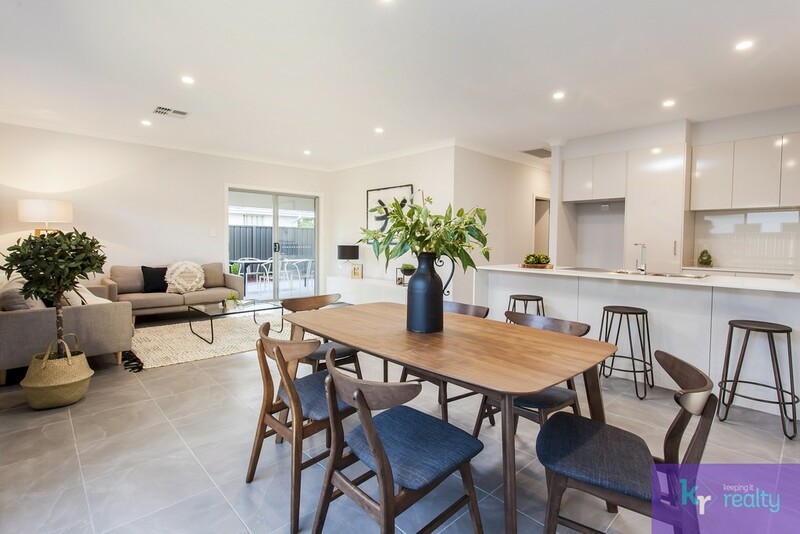 Replete with high-quality, unblemished fixtures, this home also features a number of desired amenities which add to its convincing appeal and liveability. 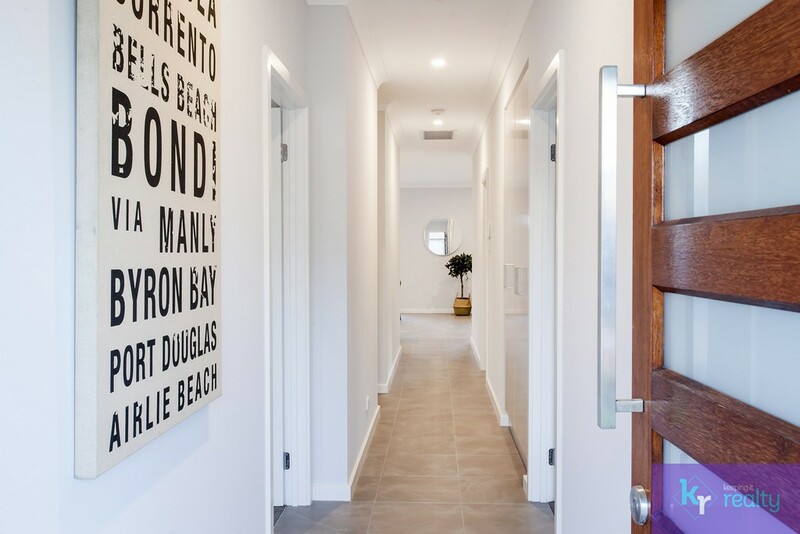 As you enter the home you note the internal spaciousness and the attractive neutral colour palette showcased along the length of the long hallway, which at the end opens into the beautifully LED lit open-plan living area. 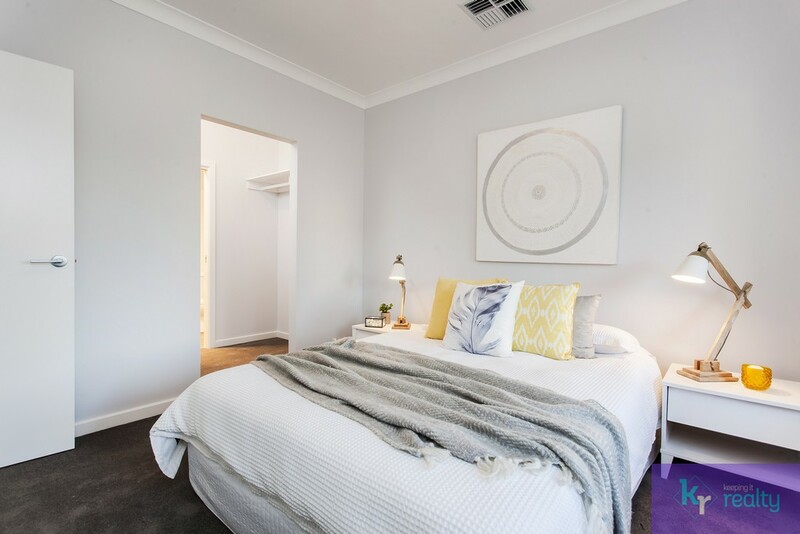 Three bedrooms are accessed from the hallway and are all bedecked with invitingly plush carpets. 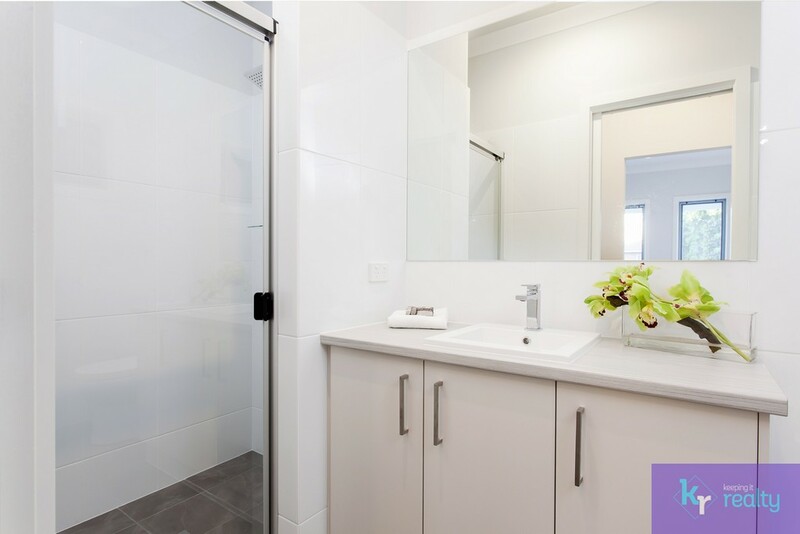 The main bedroom presents a walk-through robe which leads to a contemporary ensuite complete with shower, toilet and vanity. 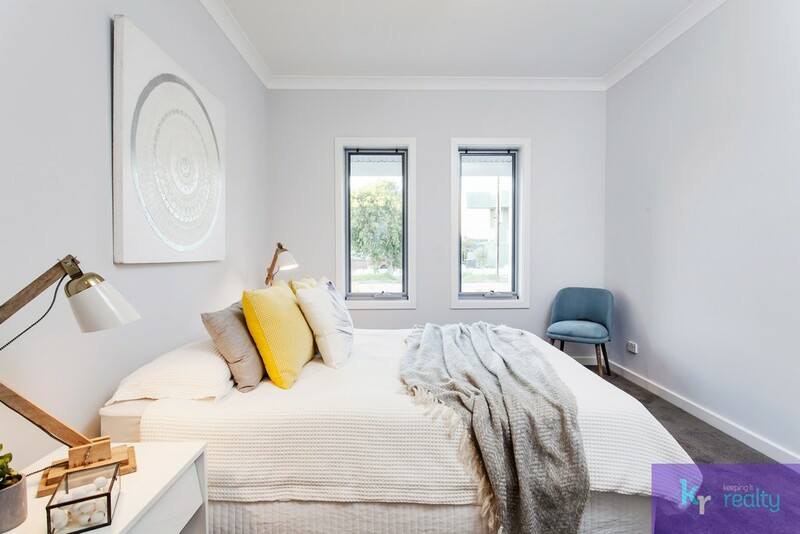 The second and third bedrooms offer built-in robes . 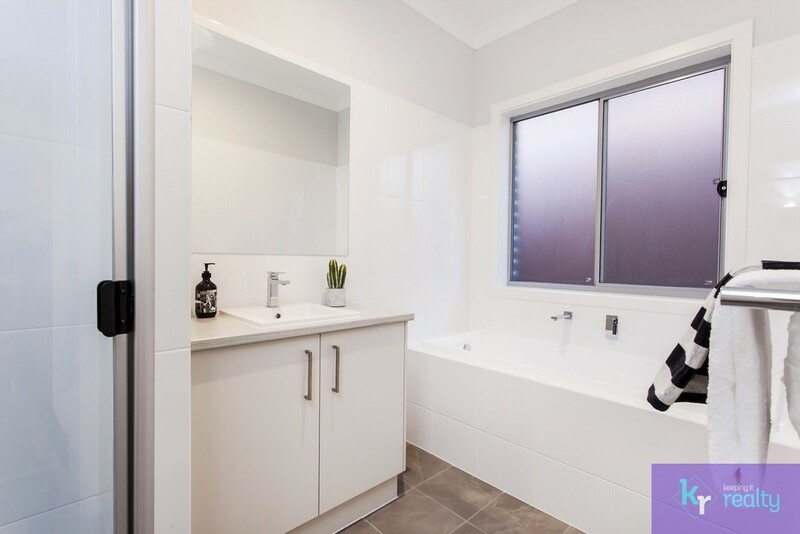 The main bathroom includes a shower, vanity & bathtub. 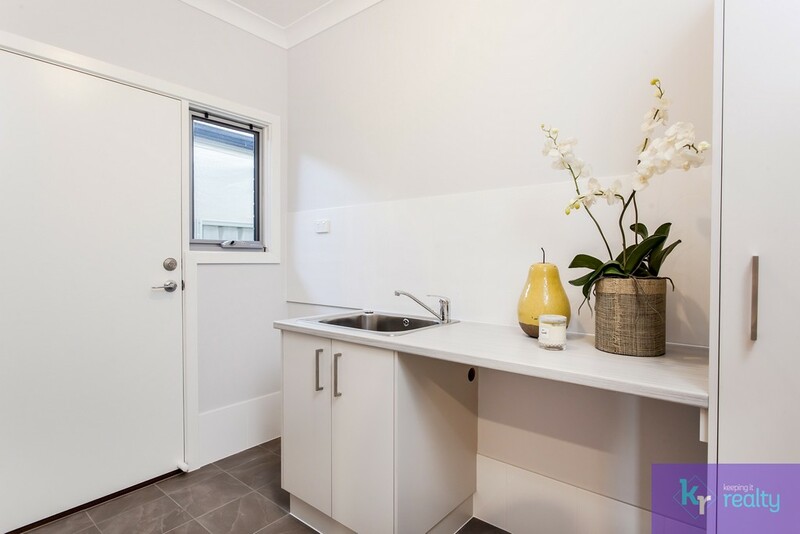 Directly opposite the main bath-room is a separate toilet and modern laundry which includes stylish inbuilt cabinetry, bench space and attractive tiling. 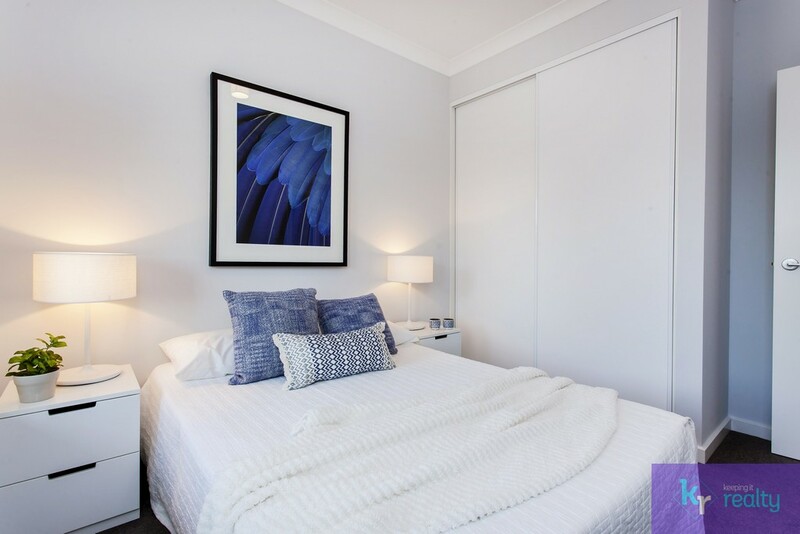 Along the hallway, additional storage is offered within a linen press. 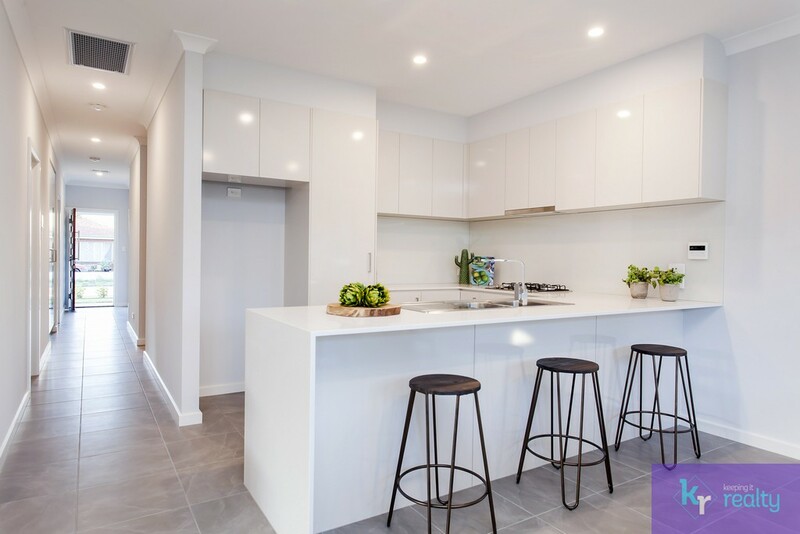 The open plan kitchen, lounge and dining areas at the rear of the home are spacious and filled with a generous amount of natural light. 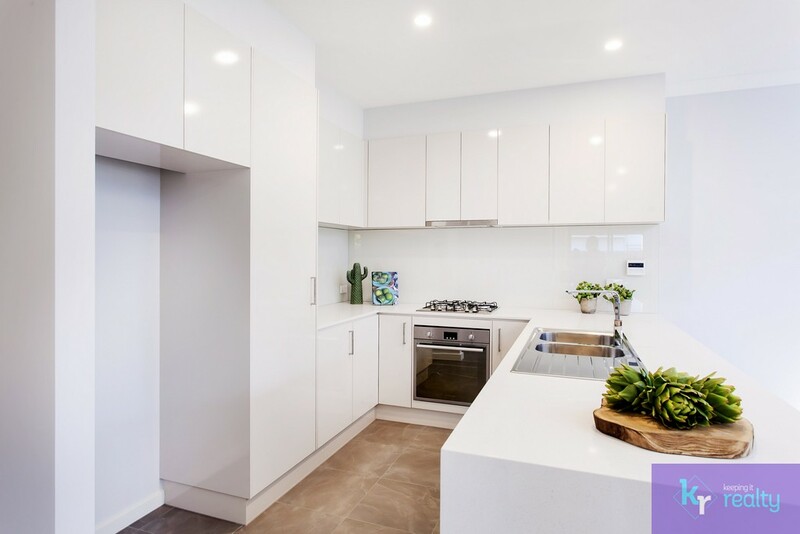 The kitchen features attractive high-gloss white cabinetry providing a generous amount of storage and Caesar stone bench tops. 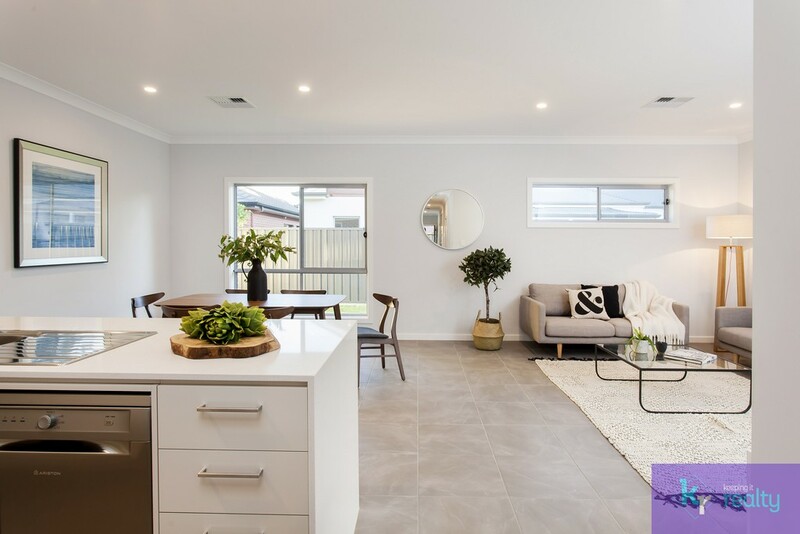 A breakfast bar is included in the available bench space which also houses a stainless steel double sink, a stainless steel gas cooktop and oven, and a stainless steel dishwasher. 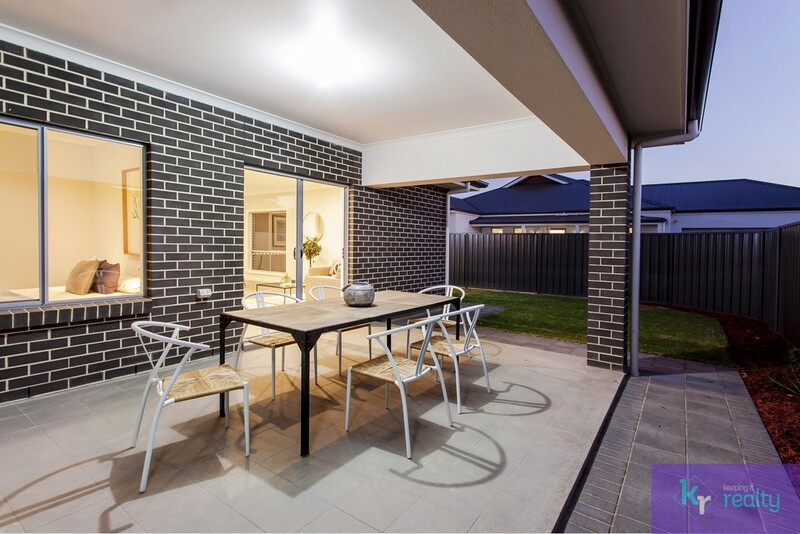 A sliding door leads from the living areas to an outdoor entertainment area which is conveniently tiled and undercover and which views a neat and irrigated, low maintenance yard. 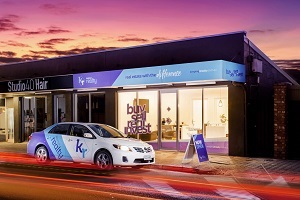 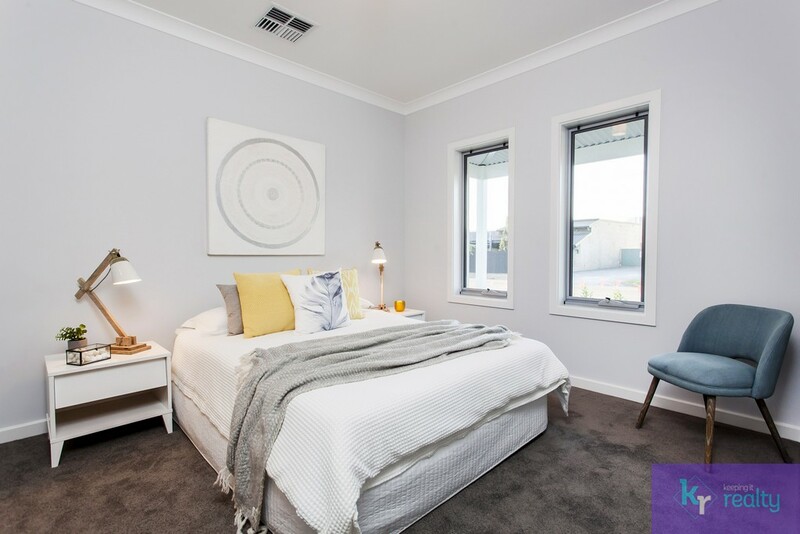 This property will be comfortable all year round with the inclusion of ducted heating and cooling systems. 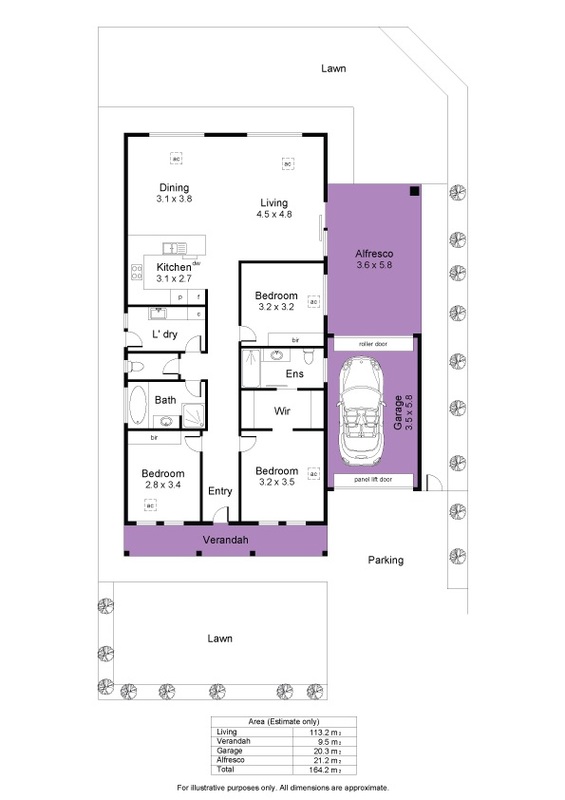 Garaging is available for one car with a second off-street car space available in the driveway. 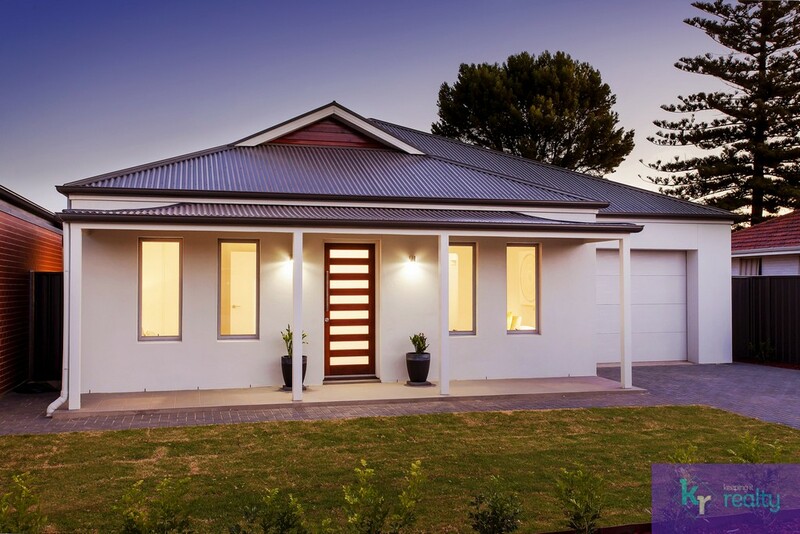 A second roller door from the garage opens conveniently into the rear entertaining area. 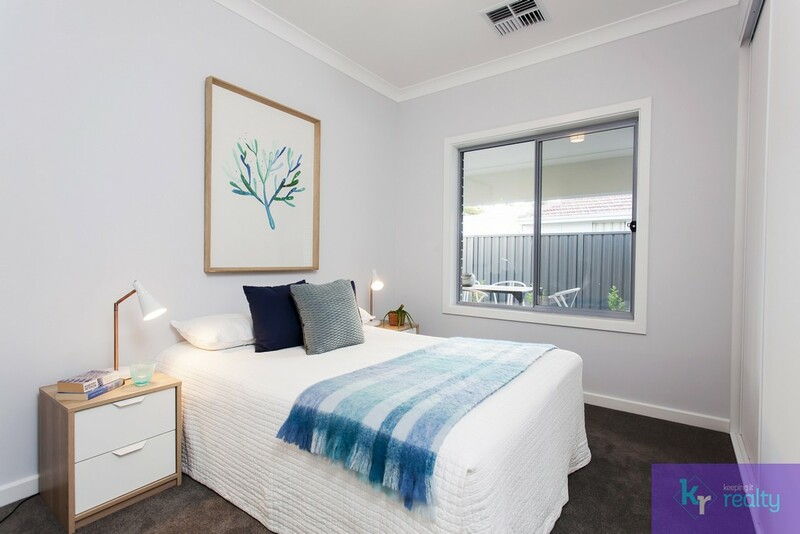 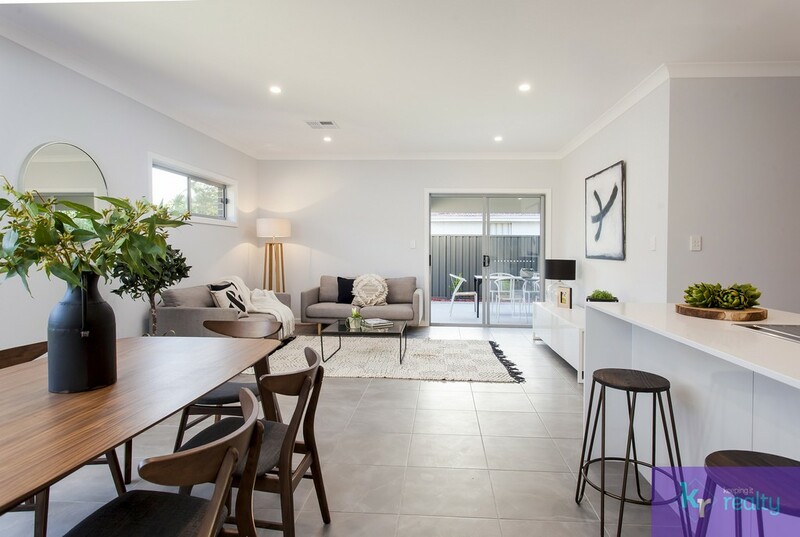 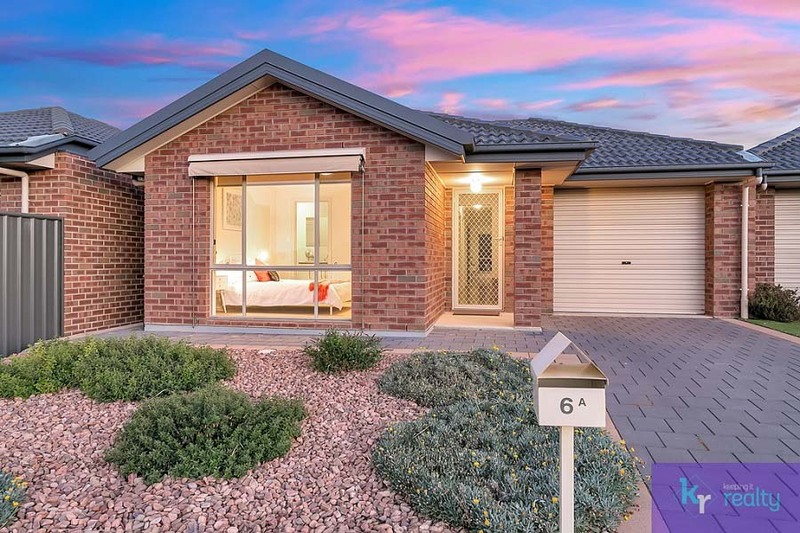 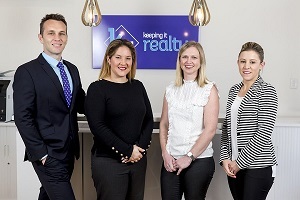 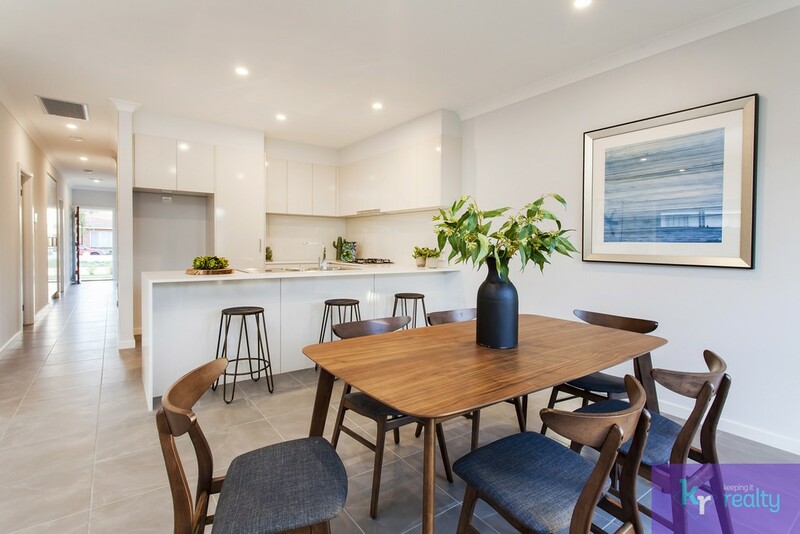 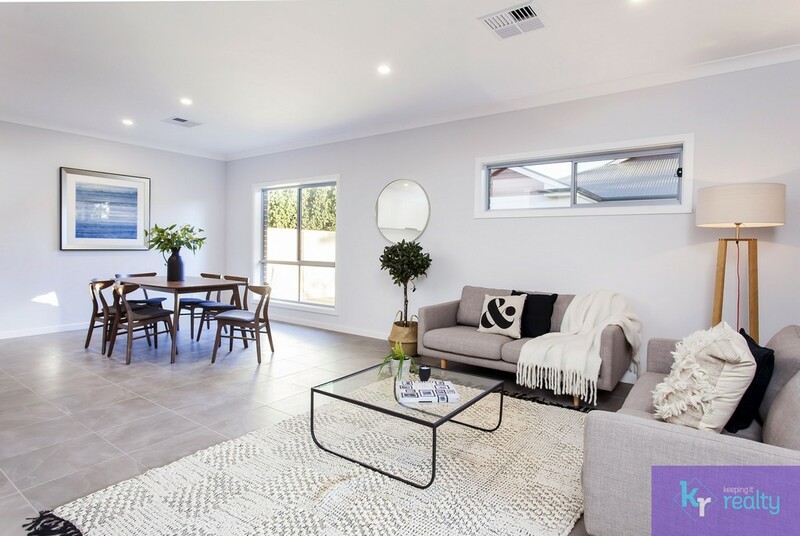 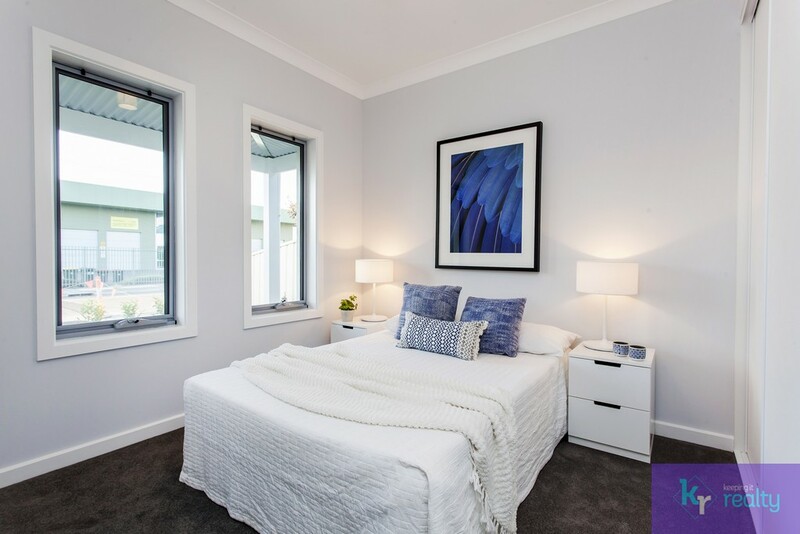 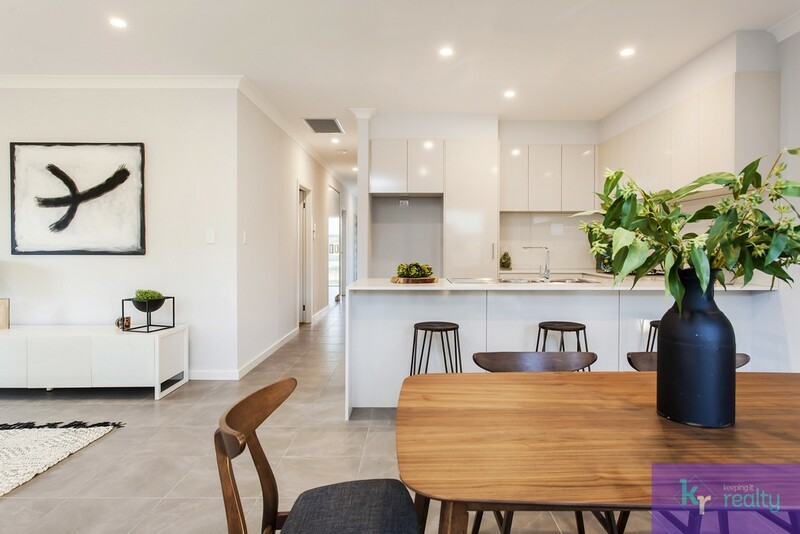 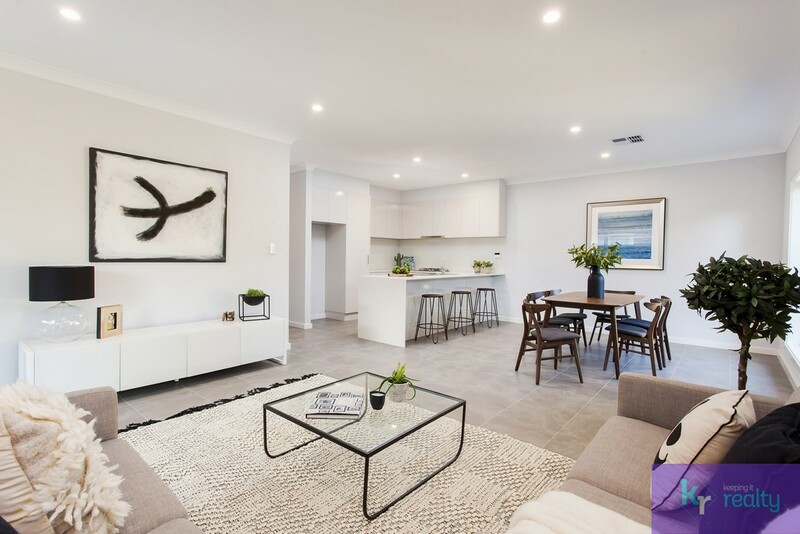 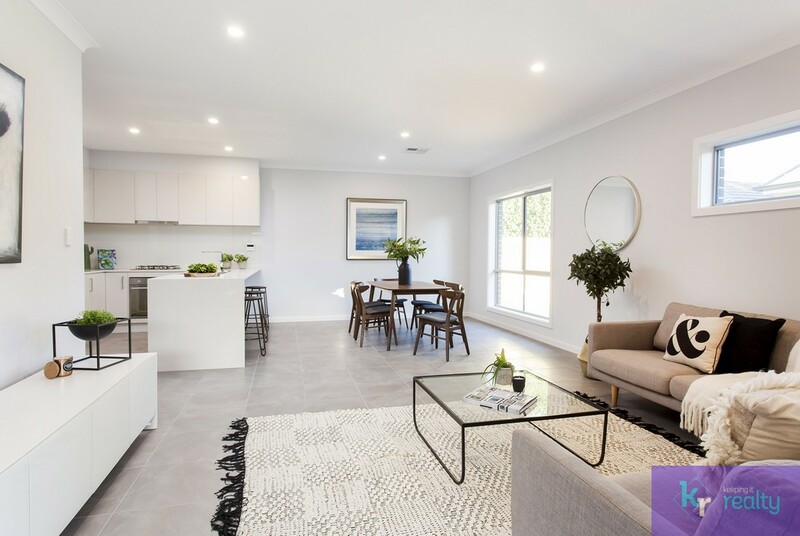 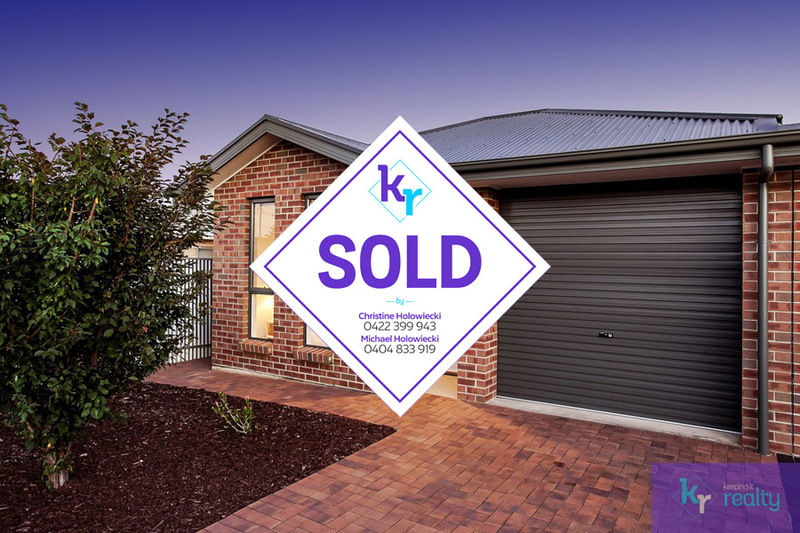 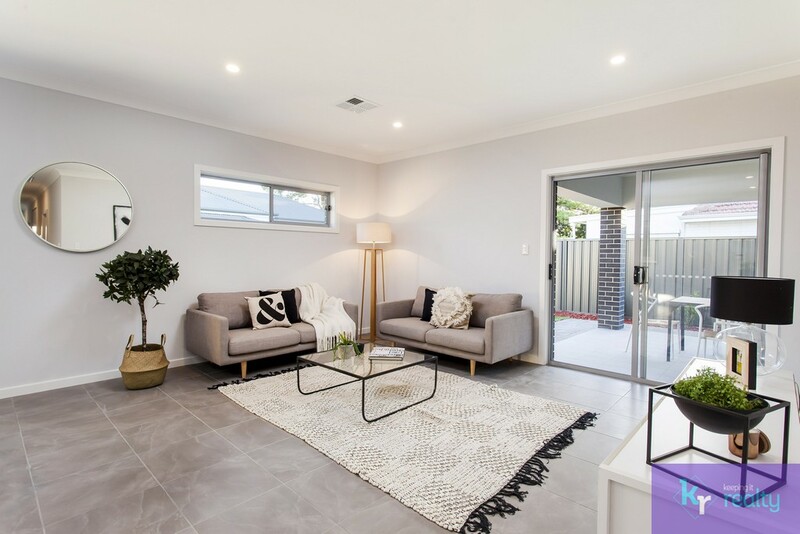 The location of this home means that you will have a short travel time to Glenelg and Brighton beaches and to Westfield Marion; the choice of several local cafes and parks including Paringa Avenue Reserve, and inclusion within the zone for Brighton schools. 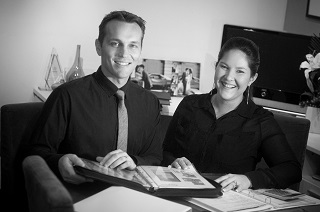 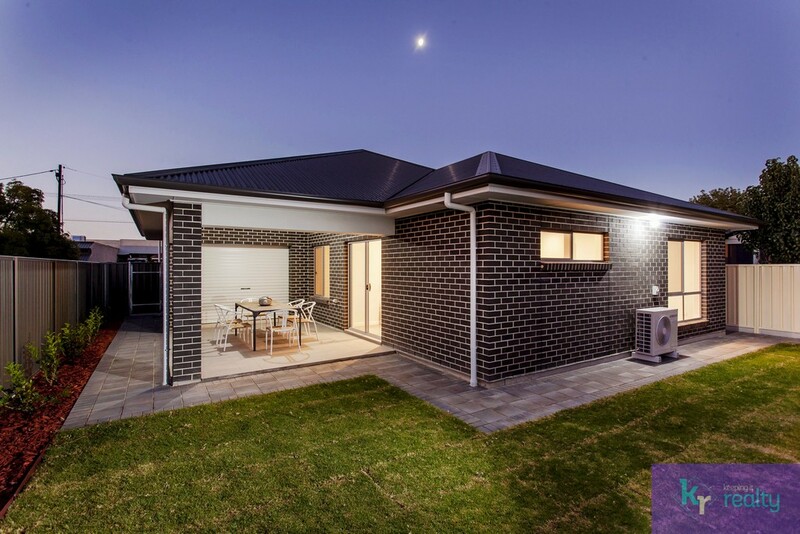 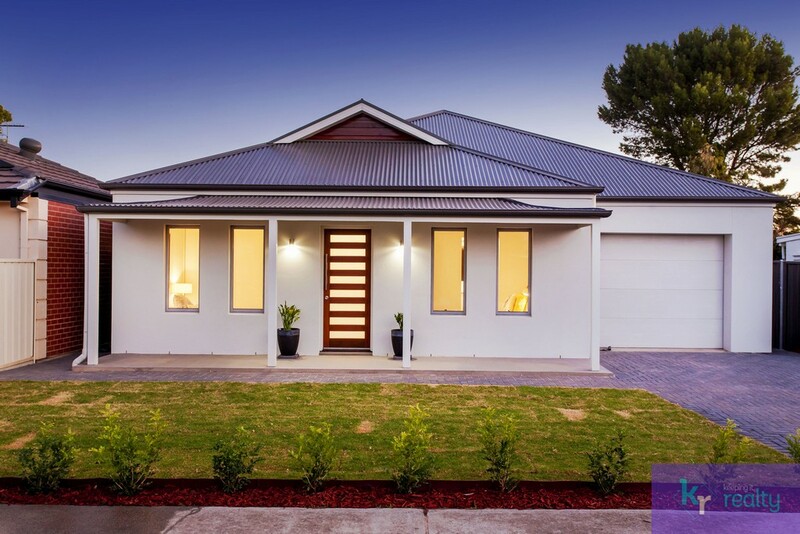 Here is a gorgeous new home in a popular suburb; don’t overlook this opportunity.